Firing up to five whistling mega darts in quick succession, the Nerf N-Strike Mega Thunderbow is an awesome addition to the fantastic range of Nerf toy weapons. With a range of eighty five feet from user to target, this has to be one of the most powerful Nerf products ever made. Designed for kids of 8 years and over, this toy uses a traditional style of bow arms to launch the missiles with devastating accuracy. This product comes complete with ten darts for amazing fast launching fun. 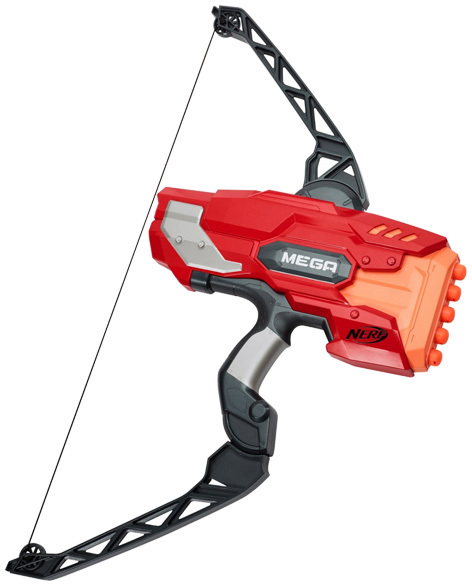 Please tell us what you think of the Nerf N-Strike Mega Thunderbow by NERF.